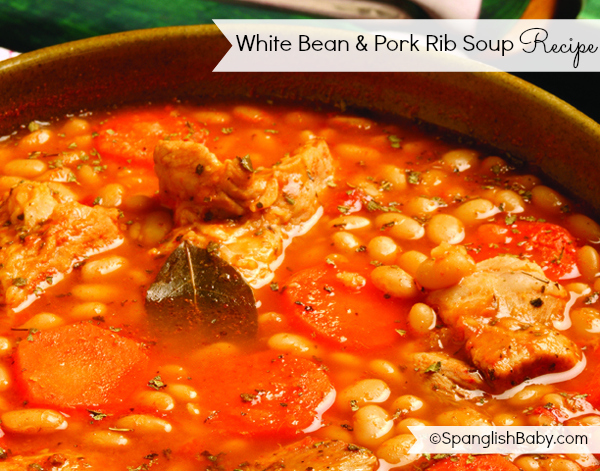 When I started writing my cookbook “Delicious El Salvador,” my Salvadoran friends would always ask me if I planned to include my recipe of white bean and pork rip soup; well, here it is! The combination of white beans, oregano, pork, annatto, and thyme creates a velvety texture that explodes with flavors. Over medium to high heat bring the beans and water to a boil, and then add the ribs, bay leaf, garlic, onion, tomato, annatto, salt, and thyme. Bring everything to a full boil, cover, and immediately reduce heat to medium. Cook the soup for about 2 hours, stirring every so often. The Culture of Food Weekly Round-up: Delicioso! You’re welcome Iraida! Thank you for your feedback. Sorry it took a couple of weeks to get back to you. I ‘ve been extremely busy with the the release party for Delicious El Salvador, which was a complete success. Last Saturday La Opinion, the largest Spanish-language newspaper in the country, published an article about the book. I’m proud of writing the first cookbook in English dedictated entirely to Salvadoran authentic cuisine. Was this the first time you tried this soup? Did you like it? Creative. Thanks for taking the time. I will check again to see what’s new and recommend my coworkers about you. Ushnish Da,Its great to here from you after such a long time. Oh, I try to use garam masala as less as possible. The smell of moog dal dies when there is a riot of garam masala, so I try not to use it in the dal.